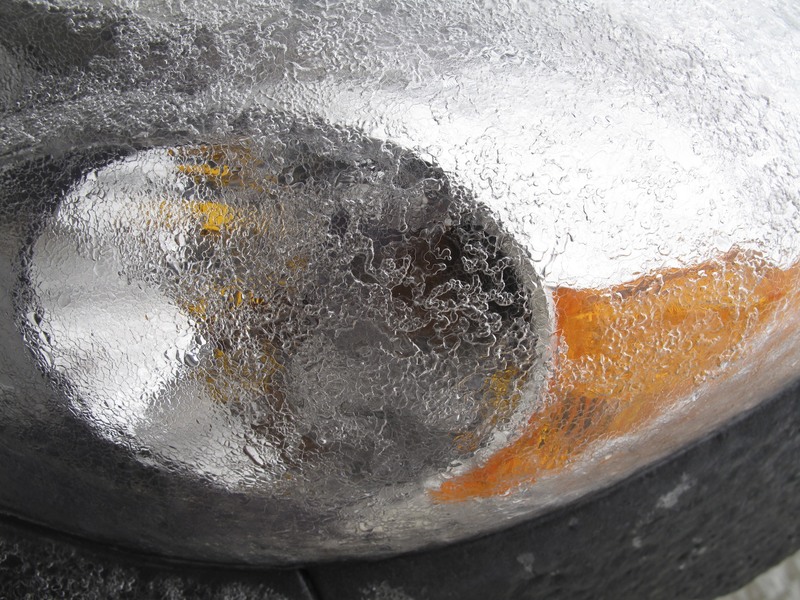 This is my headlight on ice 🙂 No, not today, I actually took this mid-week, that morning it was so icy. About fell on my behind getting the photo too. Ice was about 1/4″ thick I think, which made for fascinating looking trees and an ice rink out of my driveway. It’s all melted this morning thank goodness.